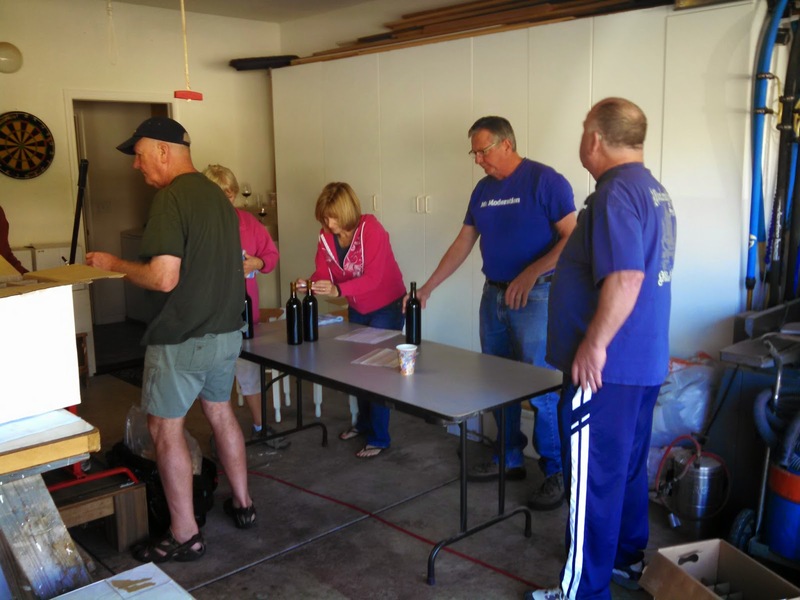 Several of us met Sunday morning at Gary's to bottle 35 cases of our 2013 zinfandel wine. We had a lot of help thus the work went quickly. 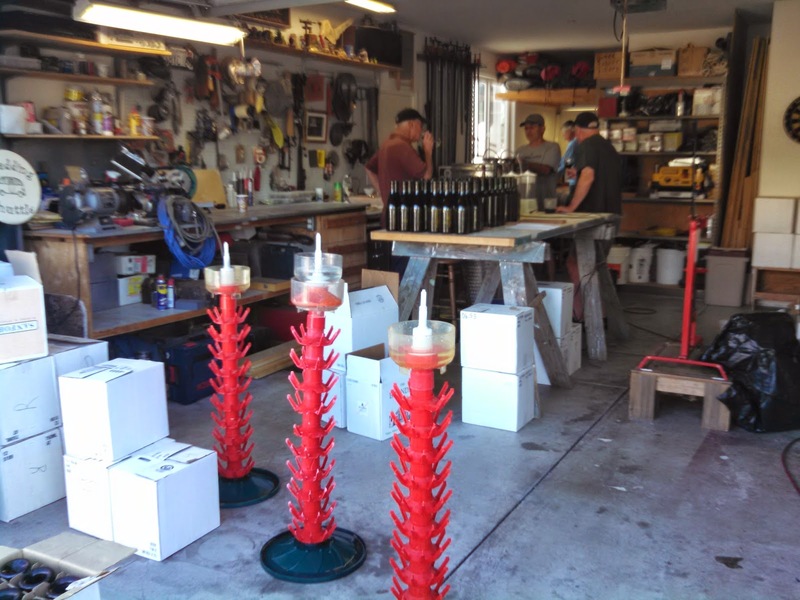 After setting up the equipment and ensuring everything was clean, we proceeded with the bottling. The three red thorny things are bottle rinsers/drying trees. Towards the back of the garage are bottle fillers, a corker and the labeling area. 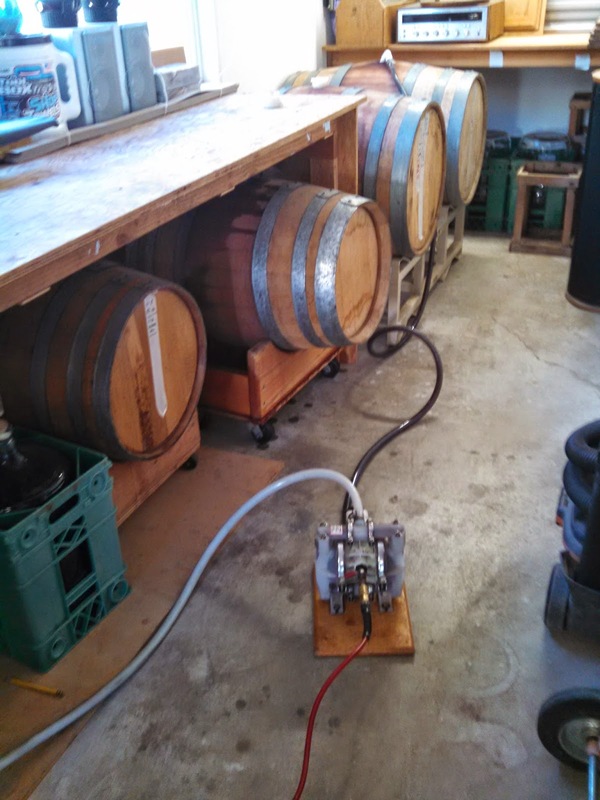 Above, the pump pulls the wine from the barrel to the stainless steel tank. From the steel tank to the left of John, the wine is pumped into Enolmatic bottle fillers. 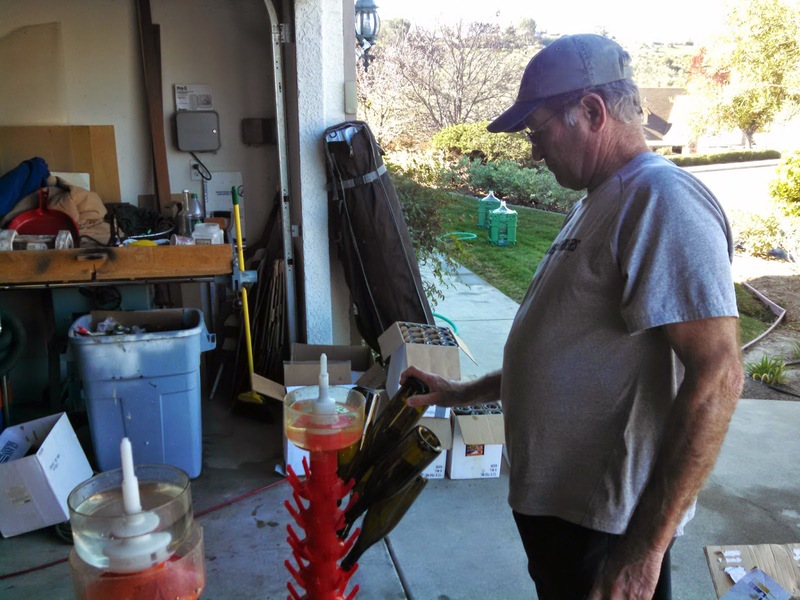 Jeff cleaning the bottles with SO2 and hanging them on the drying tree. 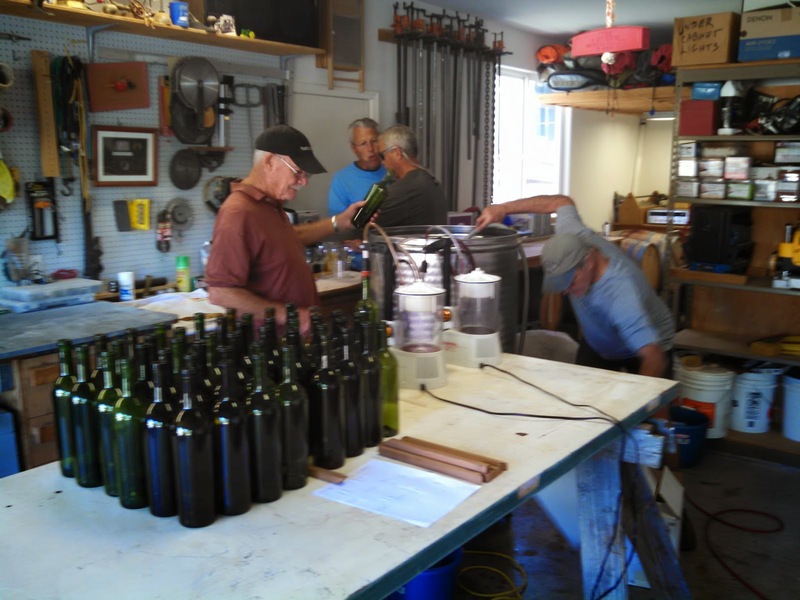 Empty bottles set up to fill, John manning the bottle filler station and Steve corking. Karl, in the middle, is production control - ensuring the bottles are filled correctly. 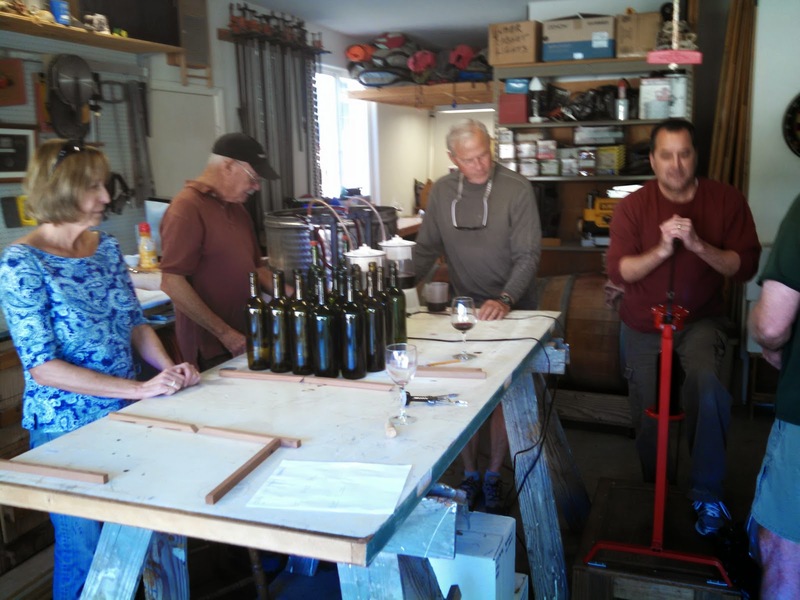 The rest of the bottling crew putting on labels and boxing the wine. John, taste-testing the final product. After loading up our cars with nearly five cases each, we had a barbecue. 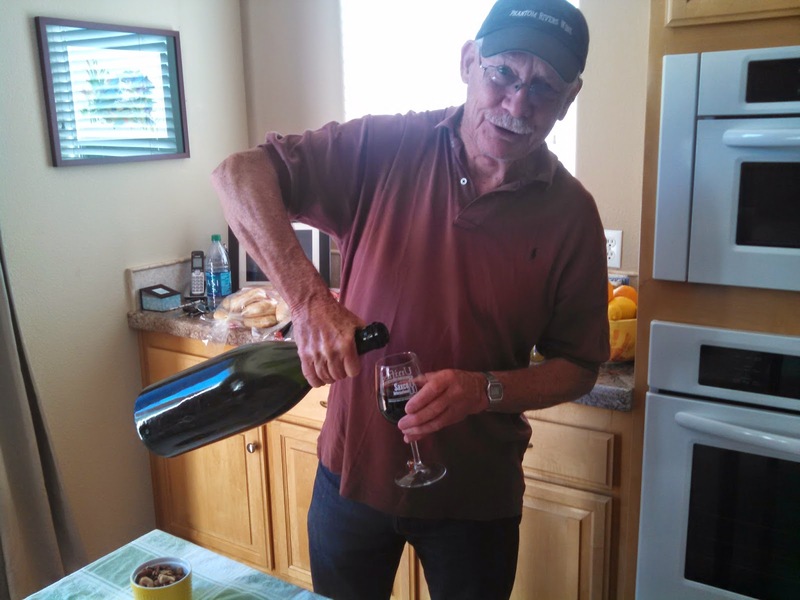 We sampled the new wine, and had salad, deviled eggs, backed beans and huge hamburgers. All-in-all, a very productive day. Looks great and you know home bottled wine makes great gifts for friends when you go visiting...I'm just saying.